Melanie Hamilton is not your average artist. 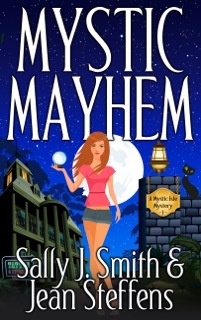 She brings home the bacon by inking tattoos at New Orleans's Mansion at Mystic Isle, a resort in the middle of the bayou that caters to fans of the peculiar and paranormal, but her true passion comes alive when she volunteers restoring Katrina-ravaged landmarks. Between her day job, her restoration work, and selling her paintings in Jackson Square, Mel's life is more hectic than Bourbon Street on Fat Tuesday. But when a guest of the resort, a millionaire's widow, is poisoned, and Melanie's close friend is arrested for the murder, things go from hectic to downright dangerous. Mel joins forces with the resort's delish manager, Jack Stockton, to prove her friend's innocence. Soon they find themselves dealing with séances, secret passages, the ghost of the millionaire himself, gators, swamp rats, and a sinister killer who proves that not everything is what it seems in the Louisiana bayou. Come on along, and get your creep on. The Magic Castle in the hills above Hollywood Boulevard is the headquarters and private clubhouse for the Academy of Magical Arts, Inc., a worldwide organization devoted to the art of magic. 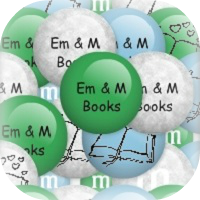 Its membership consists of magicians as well as those who just love magic. If you ever have the chance to go there, DO. It’s mysterious, haunting, spellbinding, and a little creepy. The Magic Castle was the inspiration for Mystic Isle Mysteries, our new series debuting September 15th from Gemma Halliday Publishing. Our series takes place in the bayou near New Orleans, Louisiana on Mystic Isle where The Mansion at Mystic Isle is now open and taking guests. It’s a place similar to the Magic Castle only Mystic Isle is dedicated to all that’s magical and paranormal. Its guests experience the skills of magicians, mediums, fortunetellers, astrologers, and much more. Of course, none of it is real—or is it? Séances were held in a small but lovely room where Miss Marple might serve tea. Burgundy drapes swagged corner to corner. Blue flames flickered low in the fireplace courtesy of a special-effects chemical log Fabrizio swore would bring up the ambiance. A medium-sized round table sat smack in the middle of the room, seven chairs around it and a purple cloth covering it. The lights were low. So many candles were lit that the place was warm enough for bread to rise. Fabrizio was already there, looking nervous as a crawfish next to a pot on the boil. He knew, and I knew, and he knew I knew he wasn't exactly what you'd call a genuine medium, but I had to give him credit. He looked like one, every inch, from the top of his turbaned head to the bottoms of his white patent-leather boots. His long face glistened with perspiration. "Fabrizio," I said. "Why don't we blow out a few of these candles? Your makeup and eyeliner are going to run." He nodded, and I set about doing it. The poor guy had to be pretty warm. His long-sleeved white jumpsuit was layered under a full-length sequined white cape. A cross between the Great Houdini and Liberace. 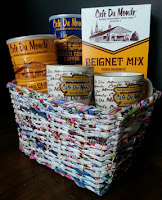 To celebrate the release of MYSTIC MAYHEM on September 15, Jean and Sally are giving away an awesome New Orleans Café du Monde basket full of goodies from the Big Easy—13 ounces of French Roast coffee, 13 ounces of Chicory Coffee, a box of their world famous Beignet Mix, and two gorgeous Café du Monde mugs to put you in the mood while you’re visiting Mystic Isle. Entering’s a breeze. 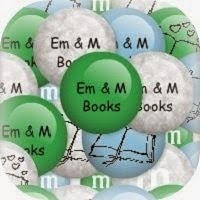 Just go to the ABOVE LINK between now and September 30, & sign up! Winner to be selected via random.org.